Grow Your Customer Base, Dominate Locally and Stand Out with a Real Competitive Advantage with our automotive internet marketing. Smoke Your Competition with. With most consumers using the Internet, it can be critical to put an automotive Internet marketing strategy into practice. This will help to draw more potential customers to your website or to your physical store. If you have a company with the focus on automotive work, you will want to market to individuals who are looking for a car or who are needing car repairs done. You can also market to people who may not need automotive work done at the moment. If they see a compelling advertisement, they will save your name for when they do need it. Keep the focus on what your business specializes in and how it can be beneficial to your customers. You do want to create a personal customer relationship, but some customers are more concerned with just getting a repair done so they can get on their way. You can use a combination of PPC (pay-per-click) and SEO (search engine optimization) techniques or just one of them. These services will include your website in search engine results on websites like Google and Bing. When customers get to your website, you want to keep them there. Sometimes searchers will be looking for a service and will open several websites for the same service. For example, somebody who needs a car repair might open your website along with three others that they find through a search engine. If your website doesn’t stand out, your potential customers might leave. Find ways to enhance your website, including pictures and videos. It can also be beneficial to have an online booking service for your customers. They can then make an appointment at any time and not have to make a phone call. This added convenience is a useful feature and can set you apart from other automotive companies in your area. Mr. Pipeline provides these services in automotive internet marketing. 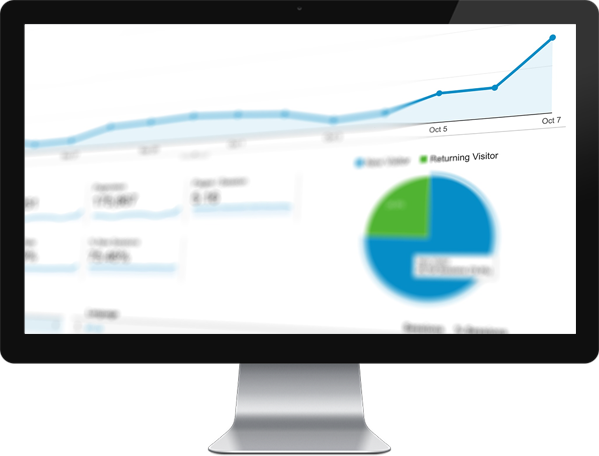 View campaign statistics, contact your account manager and much more. With the Mr. Pipeline Client Dashboard you can spend more time running your business and less time sifting through performance reports. This is not our first rodeo. Our staff is completely dedicated to your success. From our account managers and production staff to our leadership team, we’ve got you covered. I have been searching for a website service that would help me out with my new tutoring business. I needed someone that I could trust and feel comfortable with. My son recommended Mr. Pipeline Internet Marketing. They were perfect! My account manager immediately put my website up front of his team for all to see. He has been very patient with me, always answering my many questions. He is also very friendly and has my best interest at heart. He keeps in touch with me and asks me how my business is doing from time to time, which I so appreciate! Having your own business is a lot of work. Knowing that Mr. Pipeline has my back when it comes to getting my name out, is of great comfort. I highly recommend Mr. Pipeline for any small business that wants that professional and personal touch.